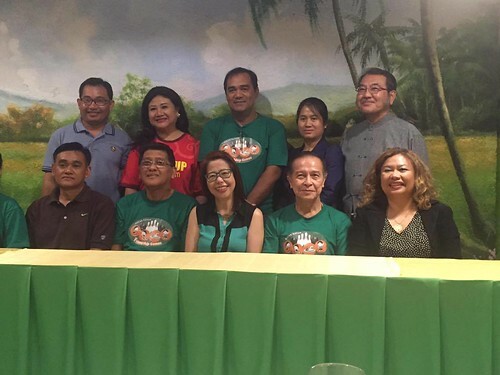 The executive committee of the ASEAN Autism Network (AAN) elected Dang Koe, Autism Society Philippines’ Chair Emeritus, as its new Chairman during its General Assembly held last 16 January 2016 at the Mabuhay Manor in Pasay. AAN is composed of autism family advocates from Brunei, Cambodia, Indonesia, Lao PDR, Malaysia, Thailand, Vietnam and the Philippines. The Asia Pacific Center on Disability (APCD) helped organize this network in 2010, envisioned to lead the efforts to realize the rights of persons with autism in the ASEAN nations. The chairmanship of AAN was turned over from outgoing AAN Chairman Malai Hj Abdullah Bin Hj Malai Othman of Brunei to ASP’s Dang Koe in a brief turn-over ceremony on 17 January 2016 at the SM Mall of Asia Arena, witnessed by 15,000 participants of Angels Walk -- Philippine government officials, representatives of the government of Southeast Asian countries, business organizations like SM, PWD organizations, civil service organizations, participants from schools and therapy centers, families of persons with autism, delegates from AAN member countries.